Palo Alto, CA – January 31, 2017 Cash management for growth stage companies is similar to staying afloat in a bathtub with the drain unplugged. A company is like a little plastic boat or rubber duckie that doesn’t want to get sucked down the drain. To stay afloat means keeping the faucet on (money pouring in) or plugging the drain (stop the cash burn). Plugging the drain would mean to stop spending on the growth plan. It means delaying or reducing much needed development investments that could cause a company to lose time to market, competitive advantages or to delay launching its next version of the product. No one wants to cut back on the sales and marketing team that the company depends on to hit its revenue goals. On the other hand, leaving the faucet on means management is constantly in front of investors raising capital. One of the most common frustrations we hear from our clients is that it can feel like fundraising never stops and is always pulling them away from the work required to grow the business. We understand and we can help. We often start with an analysis of a company’s current funding mode to best determine its ideal cash management. Is your boat afloat and do you have the wind at your back? With more than 18 months of cash runway, a CEO is in the driver’s seat. The company is adequately funded to seize customer opportunities that may take some time to close. It can attract and retain top talent. Management is negotiating with potential new investors based on the merits of the company. A financing round can take 6-9 months to close so to remain in a good acceleration mode we advise our clients to begin financing conversations early enough to ensure the plan stays fully funded. Are you feeling the constraints of an underfunded plan? A company with less than six months of cash runway is feeling the pressure. CEOs in this position can often feel like they are making survival decisions for the business that can impact long term growth. A company may find it is not in a financial position of strength to attract key customers. A company may have less negotiating power with interested investors with regards to valuation. Often CEOs may feel compelled to sell the company quickly for a fraction of the invested capital or true value of the company’s technology. • When is dilution your friend? Jon’s background includes 20 years of investment banking, restructuring, and hedge fund portfolio management. 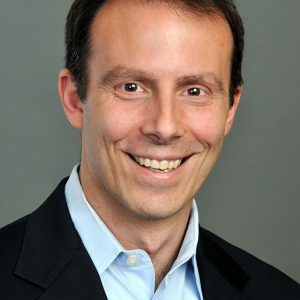 At Woodside Capital Partners his focus is capital structure advisory, debt and equity capital raise, special situations M&A, and restructuring. Jon received a BS in Finance and International Business from Babson College. Jon is on the Board of Directors of the San Jose Institute of Contemporary Art.